Dreaming of using shiplap to cover an accent wall, to remodel a room, or cover all of your walls and ceilings? We can help you do it affordably! We are well known by our customers for our shiplap and tongue and groove and the unique character of the wood. We do not carry premium grade lumber. 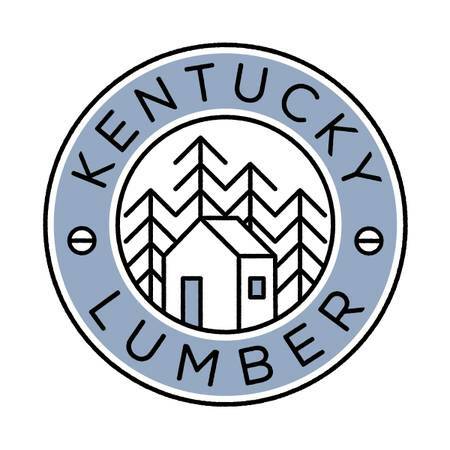 We focus all of our efforts and attention into carrying affordable finish lumber to customers who are counting on us for wood with character. We supply home-owners, contractors, and builders all the same with kiln dried boards in cabin and common grade lumber. We have a large amount of 1x8 shiplap in stock in our common grade. We also have a large inventory of 10" cabin and common grades. To help meet the heavy demand, we have begun carrying the common grade, which is one grade above the cabin grade. This grade still has some the character of our normal lumber (cabin grade #4), but it has less waste than the cabin grade. We sell by the square foot coverage rather than by the linear or board foot to help simplify the process for our customers. Full unopened packs of the cabin grade shiplap are $1.00 per sq ft. If we have to open and split a pack to get your square footage, the price is $1.10 per sq ft plus tax. These packs typically come with boards pulled to specific lengths. To ensure you understand the pricing, if we had a pack of exactly 1,200 sq ft of the cabin grade in the pack, the unopened price for the pack would be $1,200 at $1.00 per square foot. Tax is not included in this price. Full unopened packs of the common grade shiplap are $1.15 per sq ft. If we have to open and split a pack to get your square footage, the price is $1.25 per sq ft plus tax. These packs typically come with boards pulled to specific lengths. To ensure you understand the pricing of our common grade shiplap, if we had a pack of exactly 1,200 sq ft in a pack, the price would be $1,380 for the pack at $1.15 per sq ft. Tax is not included in this price. The pack sizes vary in size and length. The packs are pulled to specific lengths. We work very hard to find packs that match your specific needs, but this can't always be accomplished. We will need to know the square footage you need to cover so that we can help you find what you need. We have 8" shiplap and 10" shiplap currently in stock and more coming within the next couple of weeks. This lumber is used in half-million dollar homes, cabins, single rooms within a home, for porch ceilings, to cover barns, and more. We also carry pine tongue and groove, blue stained ponderosa pine, and exterior lapped siding! We love to see your projects come to life and frequently share pictures of our customers projects on our Facebook page. We are capable of supplying 100 sq ft accent walls and 30,000 sq ft. projects. Our inventory changes daily and we would highly encourage you to reserve wood before you come. You are welcome to walk in, to look, and to purchase, but we are scheduling customers all day who are driving from long distances, so you may have to wait while we take care of them. We are open on Tuesday through Friday from 8-5 and on Saturday from 8-1. We are closed Sunday and Monday. We regularly carry t&g car siding, bead board, flooring, shiplap, nickel gap shiplap (manually nickel gapped), chink log siding, exterior wood siding, and more. We do not carry premium grade lumber. We only carry cabin and common grades in pine. Shiplap has become wildly popular in recent years as a result of HGTV's Fixer Upper. Shiplap is characterized within the lumber industry for it's rabbeted joint, but most people are looking for the square edge of the shiplap that gives it the look of planks or planked walls. Our lumber is the raw lumber, but many of our customers prefer the white or whitewashed look on their walls.